They can often extend their fingers back greater than 90 degrees, place the thumb on the volar forearm, hyperextend the knees and elbows greater than 10 degrees, and place their palms flat on the floor with the knees fully extended. Spontaneous subluxation or dislocation of the joints and easy bruising are not uncommon and may occur with minimal trauma. The joints are often painful; acutely with dislocation or chronically with more generalized pain. Eventually degenerative arthritis can impact the joints. EDS is an inherited condition. Research statistics on EDS suggest the prevalence of the disorder is 1 in 2,500 to 1 in 5,000, but due to difficulty recognizing and accurately diagnosing the Hypermobility Type, the incidence is suspected to be much greater. It is not uncommon for a person with EDS to be seen by 5 or more doctors over a period of many years before they receive and accurate diagnosis. This means persons with EDS are unlikely to receive therapy interventions that can prove to be highly effective. Due to the symptoms of hypermobile EDS, individuals with this diagnosis may have difficulty completing daily routines (i.e. sleeping, writing, brushing his/her teeth) and may not have the ability to engage in sport-related physical activity. Therefore to some extent their symptoms might diminish their health-related quality of life. Fortunately, physical and occupational therapists can address symptoms of hypermobile EDS and allow improved functional status for people with this disorder. 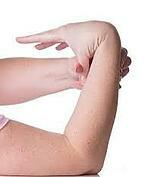 Therapy treatment interventions for hypermobile EDS include gentle strengthening (i.e. for balance, coordination, and joint position sense) and customized joint protection techniques. Perhaps the most common and important intervention a therapist can offer is an appropriate orthosis to provide support to a painful or unstable joint. Complaints of generalized hand and wrist pain in those with EDS can be reduced or relieved by simple therapy interventions including compression gloves, adjustable wraps and a carefully tailored exercise program. Both PT’s and OT’s are a valuable adjunct to helping those with EDS function and feel better.